ScanLink is an online 'dynamic' QR code generator and content management platform. Add value to your products and services with engaging mobile interactive experiences on packaging, signage, stationary, advertising, anywhere! ScanLink enables you to quickly and easily generate intelligent QR codes and Data matrix codes that provide an instant connection between mobile consumers and your products and services. In addition to intelligent code generation ScanLink also provides a user-friendly platform create and launch your own branded mobile optimised content. ScanLink is a state-of-the-art mobile communication platform that delivers product, procedure and location specific information instantly and on demand via quick response code or data matrix code technology to a web-enabled smartphone or tablet device. The scanLink platform enables you to create, manage and track your own branded mobile optimised content, including text, pictures, documents, videos and more. Scan and Save is an innovative, user-friendly, mobile marketing platform that communicates 'live' location specific product offers and aisle location information to shoppers smartphones. Retailers manage content and track shopper engagement via an online dashboard that can be accessed anywhere in the world. A data collection function enables retailers to instantly launch customised messages to collect customer information such mobile numbers and email addresses. ScanPay is a mobile merchant service that enables businesses to process credit card payments without the need for a card swipe device. Card security is significantly enhanced as the card holder performs the payment transaction on their own mobile device. ScanPay is a 'niche' mobile payments solution developed for low pressure transaction environments for businesses such as Restaurants, Trade Services, Professional Services, B2B, etc. Due to be launched in Australia soon. PropertyCode is a comprehensive Quick Response Code management platform that enables Real Estate agents to quickly and easily create their own branded mobile connection to property listings. An advanced analytics function tracks and records the location, time, device type and browser type each time a PropertyCode is scanned. 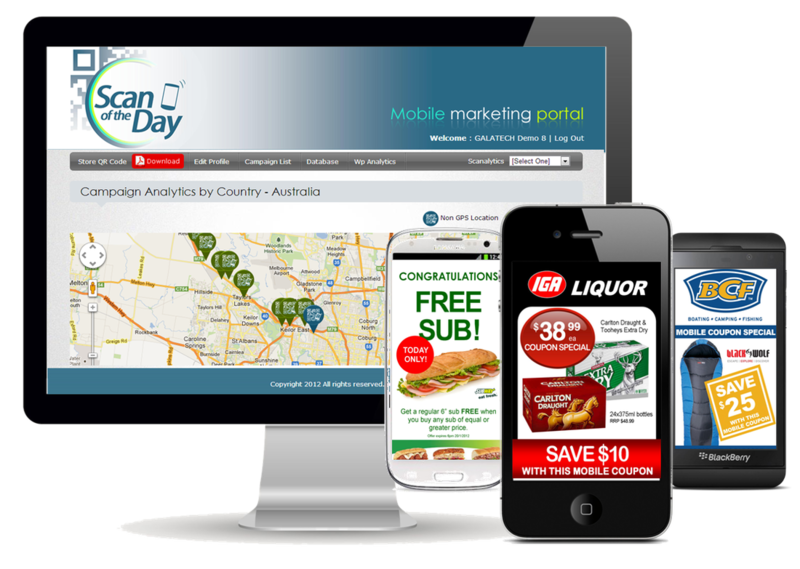 Scan of the Day is an online mobile marketing platform that delivers mobile coupons and product offers to web connected mobile phones. 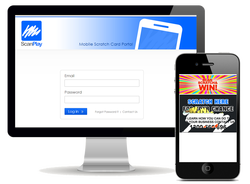 Different to SMS/MMS or email campaigns where communication is restricted to a subscribed group of recipients, Scan of the Day mobile offers can be accessed instantly by anyone with a web connected mobile or tablet by simply scanning your campaign QR Code. An advanced analytics function tracks and records the GPS location, time, device type and browser type each time you code is scanned. 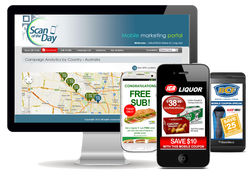 Scan of the Day is a low cost and very user-friendly mobile marketing solution scalable for any size enterprise. Scanalytics is a FREE online QR Code generator. Quickly and easily create QR Codes for web links, telephone numbers, text, events and more. QR Codes can be downloaded instantly in print ready PDF and PNG file formats. An optional tracking function enables you to track code activity including scan count, device type, browser type and location. 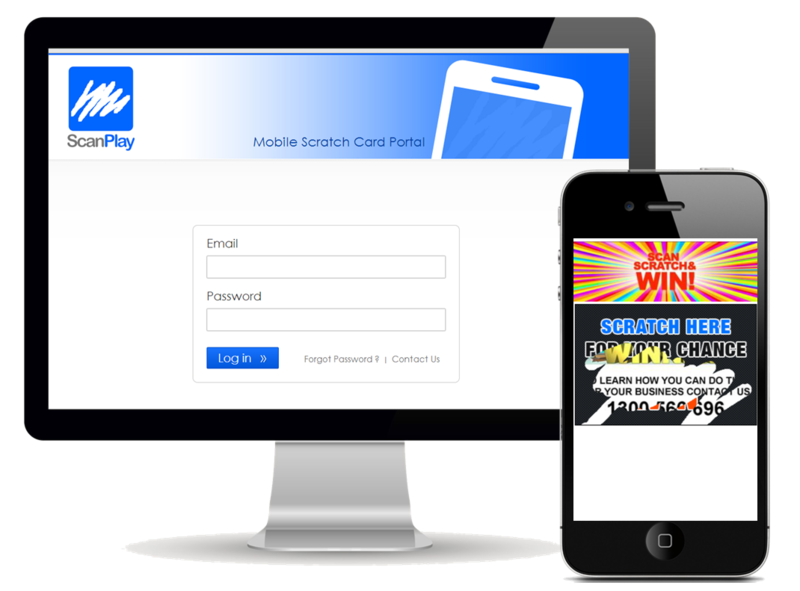 ScanPlay is a white label mobile scratch card platform that delivers a digital 'scratchy' upon scanning a QR code. When utilised for a competition or game application this is a highly effective data base builder.